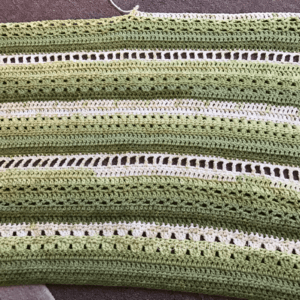 Week 4 (rows 31 – 40) can be found HERE. This completes Week 5! Week 6 will be available on Monday, June 19th! 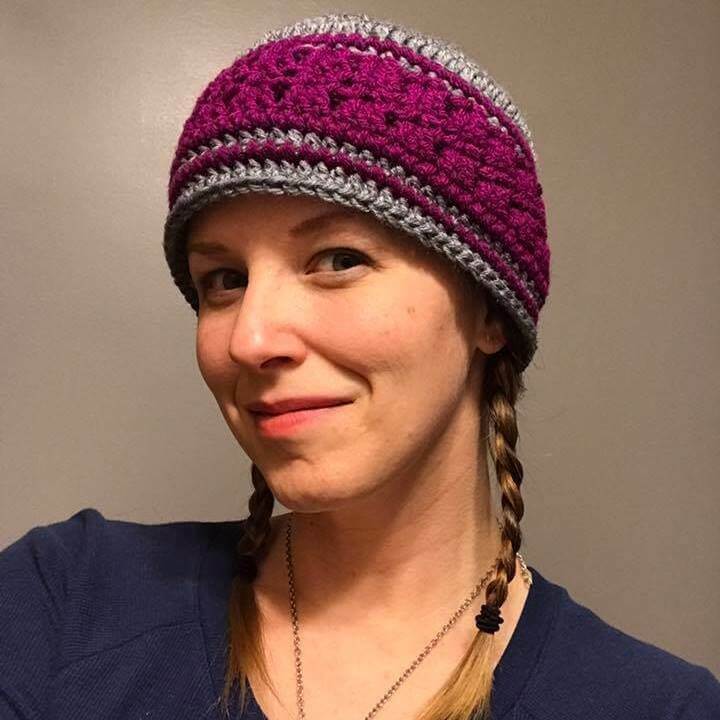 Share your progress with me on Instagram (@couchsurfercrochet), or join the Couch Surfer Crocheters group on Facebook and share your work with an awesome group of crocheters! 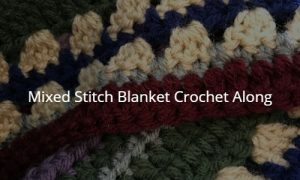 I’ve had a few people in the group ask me about making one of these blankets using Caron Cakes yarn. 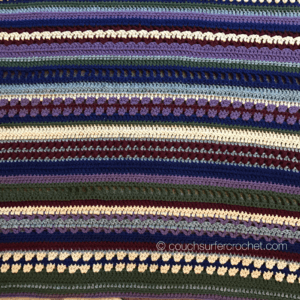 I started a second blanket (same size, ch 216), and so far have made it almost through week 4 with three cakes. 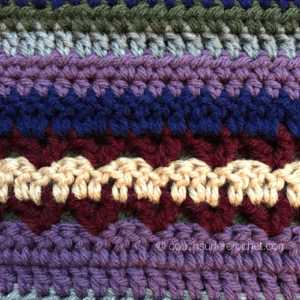 I would estimate to complete the entire blanket PLUS optional border you would need seven in total. Thank you for joining along with us! 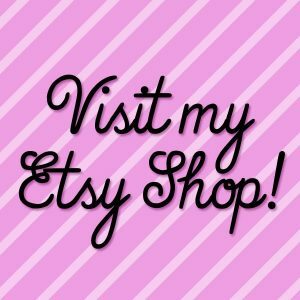 I hope you all are having fun making this blanket with me!